Bryan's (Turjak Master/Killer Kamote) grandmother has also passed away last night. Her remains will be brought to Dumaguete today, so please just include Bryan's lola in your prayers. In memory of Connie and Bryan's loved ones who have recently rejoined our Creator, all Si_FAMILY members are required to use BLACK FONT when chatting inside Rehab. The use of other font colors will be allowed after the funeral/cremation of Bryan's grandmother on Friday, June 5. Thank you. Guys, lets pray for Si_TABACHICHING's FATHER. He is in ICU. Para mabilis gumaling. THANKSSSSSSSSS! View the match by clicking on THIS LINK. Oioioi!!! Aren't you guys glad it's almost weekend? WE MOST DEFINITELY ARE! 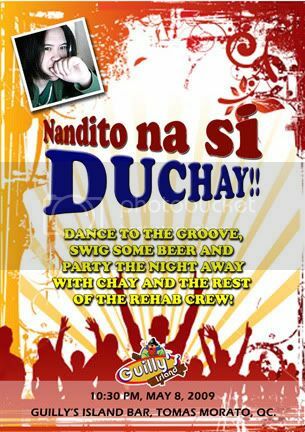 That's why we're inviting everyone to let their hair down and party with the rest of us Rehab peeps tomorrow night (May 22), 11PM at Guilly's, Tomas Morato, QC. Pacqiao VS Hatton Fight (replay) May 2nd. 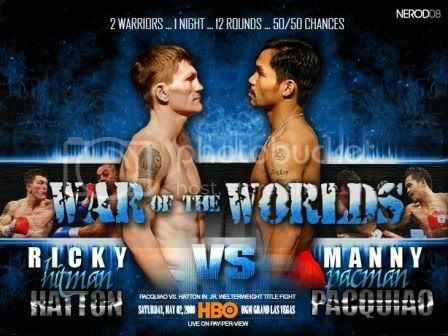 Watch our kababayan, Manny Pacquiao, beat Ricky Hatton for the distinction of being the real "pound for pound king!" Mabuhay ang Pilipino, mabuhay si Pacman! Missed the bout? Check out the replay here. Due to our successful "Summer Wear Competition" last month, guys and gals from our green and blue team came up with this idea. Why not have our very own rehab ng mga adik sa chat Fashion Show? 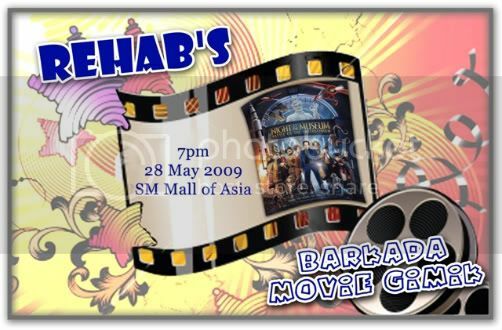 With this in mind we would like to acknowledge every one's attention members and non-members to support our up-coming fashion show at "rehab ng mga adik sa chat (Camfrog General Room)"
*leave comments at the bottom of the image to make this event happen. Find out who made the playlist below. Click here!